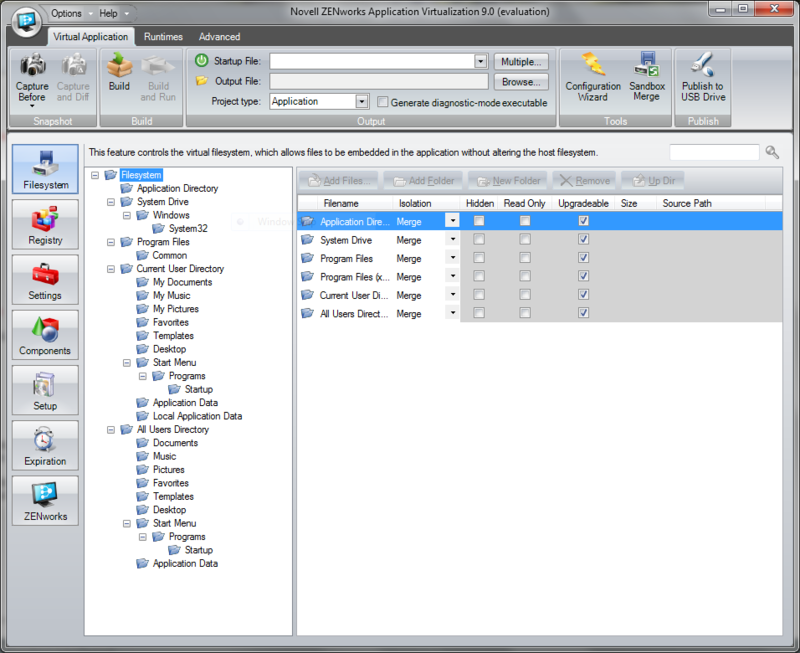 The section contains step-by-step information to help you use Novell ZENworks Application Virtualization to prepare Novell GroupWise and GroupWise Notify to run as virtual applications. Click Start > All Programs > Novell ZENworks Application Virtualization 9.0.1 > Novell ZENworks Application Virtualization 9.0.1 to start the application. 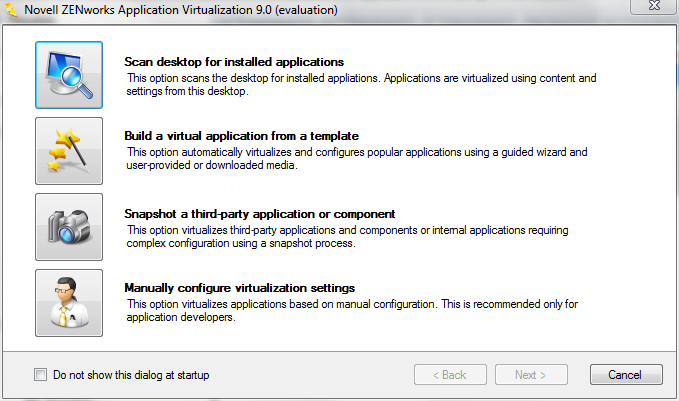 The Novell ZENworks Application Virtualization 9.0.1 startup dialog box is displayed. You can use this dialog box to scan, build, manually configure, or take a snapshot of the virtual applications installed on the device. If you do not want to see this dialog when you start the virtual application, select Do not show this dialog at startup. 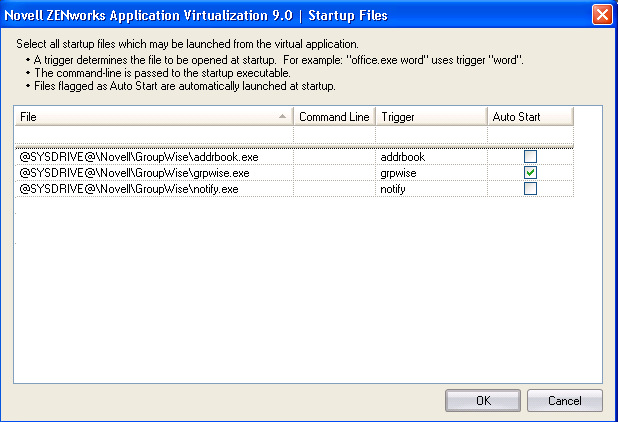 Click Cancel or close the startup dialog box to view the Novell ZENworks Application Virtualization 9.0.1 application. This process captures the first snapshot image. The process iterates through the file system and registry, and might take several minutes to complete. Saving the first snapshot lets you skip this step when creating a snapshot for subsequent applications from the same machine image. For more information, continue with the instructions in Section 5.0, Using Virtual Applications with ZENworks Configuration Management.